How MBA in IBSAR will help you to shape your career? MBA degree is considered as one of the best options for sure shot advancement in your career path. But selecting the right institute for pursuing the degree is equally important. 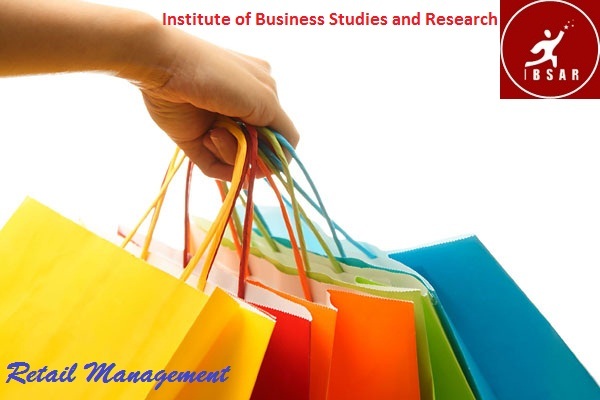 IBSAR is one of the management institutes which not only includes knowledge and skills in its business studies but also provides placement in a top notch company. Does IBSAR nurture leaders in its management school? Yes. In fact, IBSAR firmly believes in the concept of injecting qualities of a leader in its students. For the same, IBSAR sees to it that all the knowledge and skills required for a student to develop into an inspiring leader is included in its business studies. Also this may help him to weather all kinds of competition in the market – be it recession or any other kind of challenges – the student will be ready for them. In short, survival is the key and IBSAR well acquainted with this equips students with the required qualities. Unlike other business institutes which only offers run-of-the-mill type course, IBSAR believes in offering courses and practices which is in par with the latest trends in the business industry. IBSAR trains its students to such a level that they are acclimatized with all the nitty-gritty required to thrive in business industry. For example, it trains its students in such a way that they are able to deal with real time problems rather than struggling with problems with text book knowledge. In detail, a student who has completed MBA studies from IBSAR is able to analyze the problems, look it from different angles, coordinate with the required resources, and prioritize the important tasks – rather than taking a hasty decision. This gives an edge to the company as the individual is able to sift through details and analyze them before making a decision. The chief idea of IBSAR is to make students smart enough so that he would excel in whatever job he takes. Hence, curriculum is designed accordingly. For the same, IBSAR is equipped with state-of-the-art facilities such as well-equipped library; air conditioned classrooms and halls; Wi-FI campus, and many more. Thus with IBSAR providing you all the required knowledge and skills, you are bound to turn out to be a successful businessman and achieve your dreams. So if you want to be script a success story for yourself in this competent industry, IBSAR is the business school to choose for. In today’s global economy, many businesses are looking to expand into an international market,therefore, careers in international business are expected to grow at a faster rate. From banks to manufacturing firms to government agencies, almost all industries have a need for people with a background in international business management. business strategies sensitive to international issues. If you are already working in a business management profile, studying for your International Business Management MBA degree is the ideal way to progress your career and enjoy improved prospects.You can move into the exciting area of global business management and enjoy a very rewarding and successful career with the skills and qualities that you will gain from pursuing an International Business MBA degree. A fresh postgraduate in International Business Management from a reputed institute is usually recruited as a management trainee.Job satisfaction and career growth can be an important factor in International market research firms or consulting organizations. With an MBA in International Business Management you can prove your expertise and skills in this area as well as enjoying an exciting,rewarding, and fast paced career in global business management and you can open doors of opportunity in the business environment with no borderlines to hamper your career placement. Learn the skills and knowledge required to deal with the business challenges and become qualified for a fabulous business career.